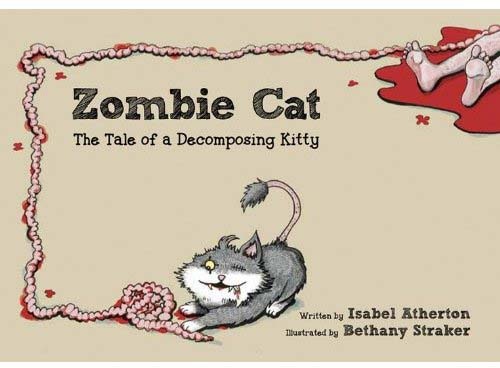 Paranormal Pop Culture: 'Zombie Cat' a purr-fect undead animal mashup? 'Zombie Cat' a purr-fect undead animal mashup? 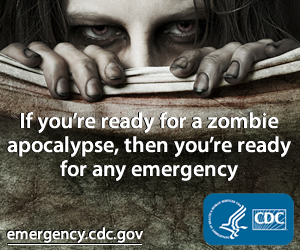 Do you like zombies? Do you like cats? If you answered yes to one or both of these questions, then Zombie Cat: The Tale of a Decomposing Kitty is right up your, ahem ... alley. Author Isabel Atherton's hardcover illustrated adult humor book is now out and she will also be making an appearance at the New York Comic Con in two weeks. "Tiddles is a suave, carefree kitty cat whose only pleasures in life are eating mice, wooing the ladies, and being generally apathetic toward his owner, Jake. But when a toxic spill occurs outside of town, Tiddles finds himself savagely attacked by a nasty-looking radioactive field mouse, and he wakes up as one of the undead. However, he still retains a bit of compassion and refrains — for now — from zombie Bacchanalian delights, such as eating living beings’ brains! Umm ... any brains at all!" 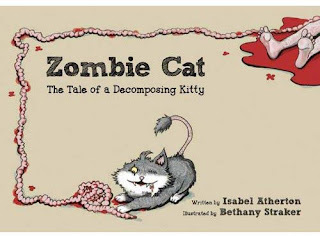 So if you're headed to NYCC or if you're looking for the purrfect Halloween gift, check out this must-have zombie apocalypse essential - and don't miss the Zombie Cat trailer.